Servicing the Illawarra, Shoalhaven and Sydney areas. We cater for Weddings, Engagements, Birthdays, Kids Parties, Corporate Functions, Christenings, Christmas Parties, Anniversaries, Formals, Reunions, you name it. Our photo booths are new and have the latest Canon DSLR camera and Mitsubishi dye sublimation printer as well as studio soft box lighting. This means the quality of your prints will last forever, not fade or deteriorate over time. 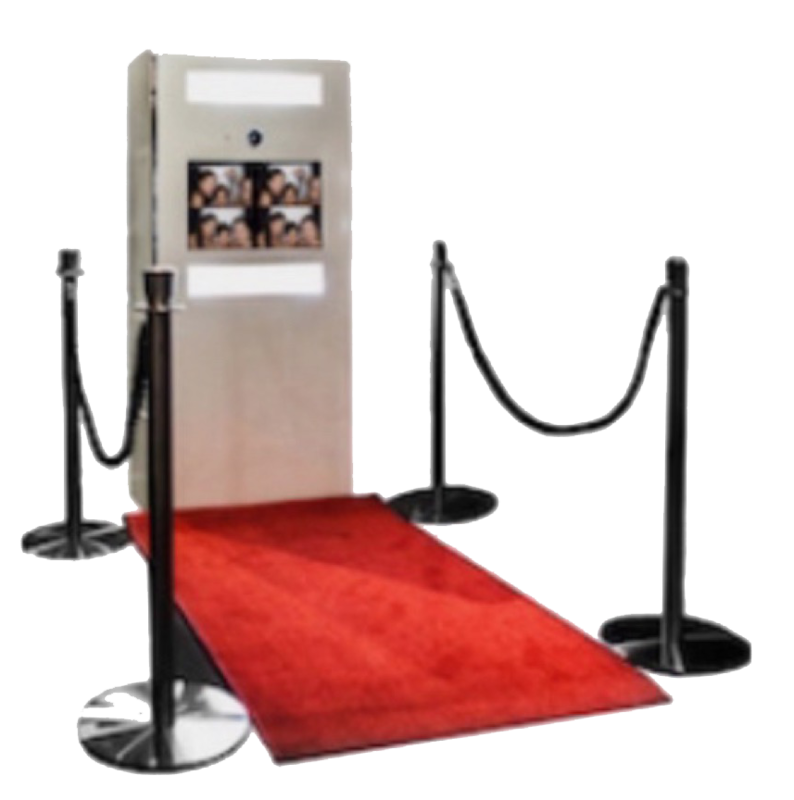 Our 22 inch touch screen interface makes our photo booth user friendly with the option to take photos in colour, black/white, sepia and record video messages. A USB of unlimited double photo strips and video messages for the duration of the hire. View photos taken within the booth on a slide show with our external monitor. 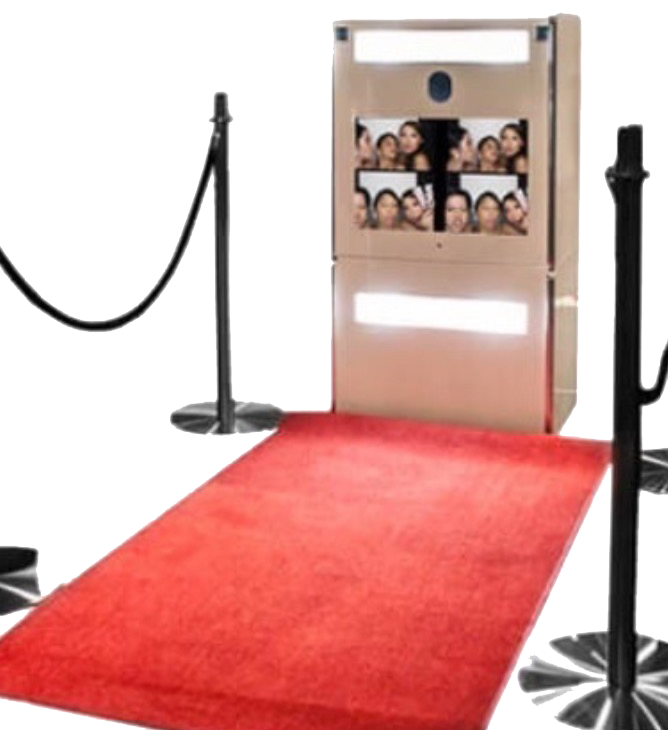 Bring Hollywood glam to your event with our red carpet, bollards and ropes. Customised double photo strip logo to add that personal touch to your event. All packages come with our fun props, including a hat stand, wigs, masks and a wide range of hand help props. Props suitable for any occasion. A Leather Dry Mount Photo Album for you with photo strips and personalised messages from your guests. Memorable moments for you to keep and treasure. Booth Attendant, delivery, set up and removal of booth. Enclosed red or white curtain, red carpet, bollards and ropes to add that glam, sophistication and elegance to compliment your event and entertain your guests for hours. Perfect addition for any occasion. Our enclosed photo booth fits up to 10 people comfortably. Our Open Booth comes with a red carpet, bollards and ropes, choice of Black or Gold Sequence Curtain back drop or Flower Wall back drop, soft box lighting and external monitor. Our open booth fits up to 15 people comfortably. Great for corporate functions, formals, parties or any occasion. 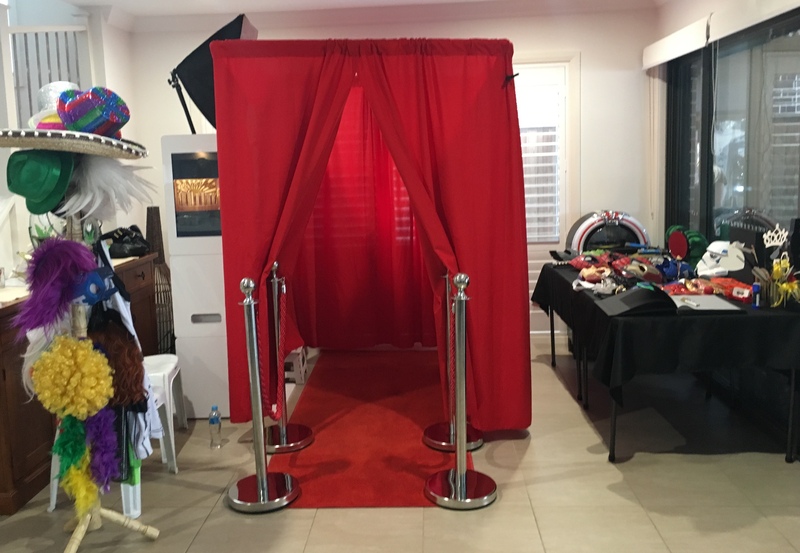 Our Kids Booth comes with a red carpet, bollards and ropes, choice of Black or Gold Sequence curtain back drop or Flower Wall back drop, soft box lighting and external monitor. Our open booth fits up to 15 people comfortably. Entertain the kids for hours with our fun selection of props. They’ll be talking about your party for weeks. 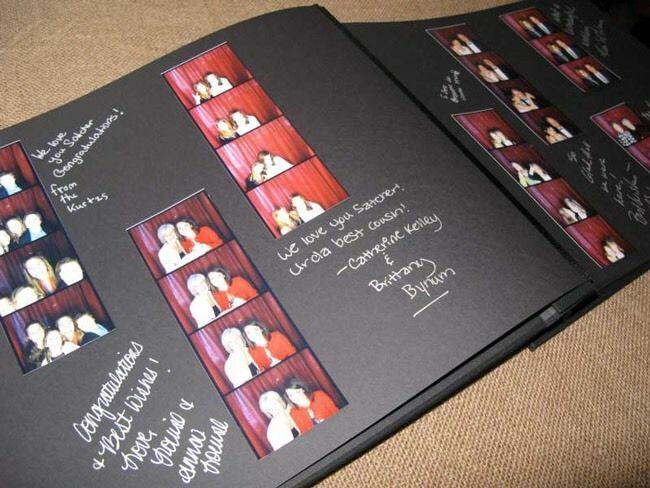 Photo strips and personalised messages from your guests. Memorable moments for you to keep and treasure.